Overcome yourself in this brand new puzzle game. 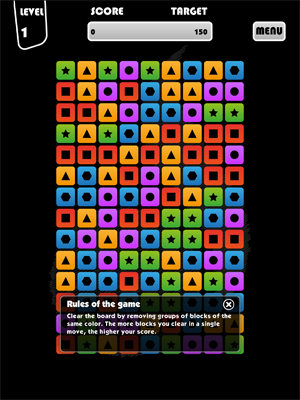 Clear the board by removing groups of blocks of the same color. 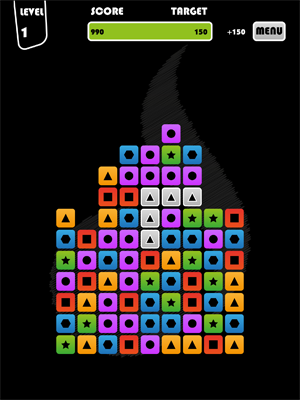 The more blocks you clear in a single move, the higher your score. The less blocks you leave at the end of the level, the more bonus you get. Challenge your friends using the Game Center. Enjoy the game, but be careful: once you start playing you won't be able to stop! 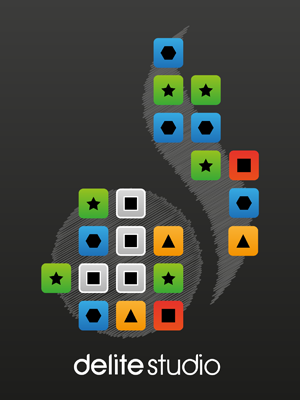 Playing using only one finger, you can pass time very easily with this strategy puzzle. There's no one to play against and no clock, so you can tap away without pressure. It looks easy but to clear all of the blocks takes a bit of thought. But if you don't manage to do it... play again. The graphics are suitably clear. Un gioco all'apparenza banale, ma nel quale occorre invece metterci dell'ingegno. Anche la grafica merita il massimo dei voti. Davvero molto molto bello!!!! Un bon petit jeu pour passer le temps.